Been a fantastic week with the Google feature – loads of new players have been in touch with feedback on the update and ideas for the next. We’re currently working on a few new translations – then we’ll look into the next update – so please keep your ideas coming. 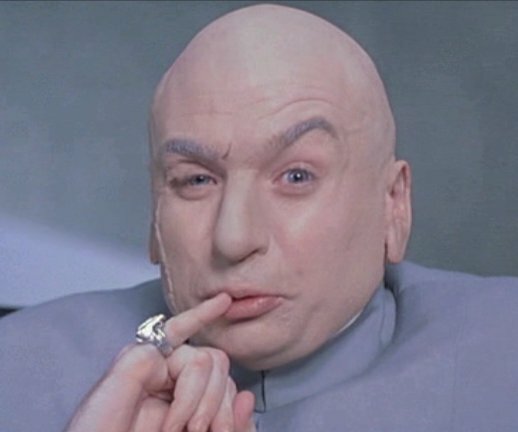 We have just passed the 1 million mark which is a huge landmark for our game – so thank you to everyone that has downloaded Rapture. 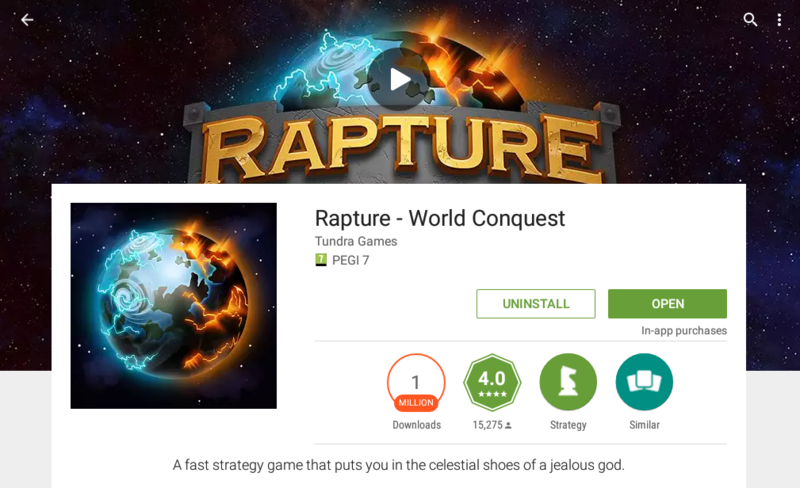 We have just released a big update for Rapture on iOS and Android – update your game and take a look at the new features. We’ve had lots of feedback from players (thanks for the emails!) and added a lot of the suggestions. 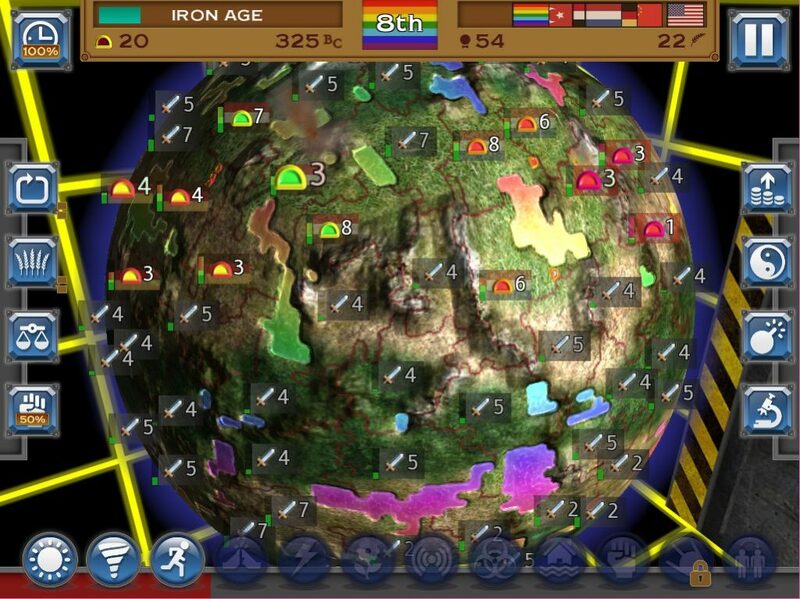 This screenshot shows the new “Colossal” planet with the Holodeck background and the new Incans civ. You can also see the new game speed button in the top left. Let us know what you think at feedback@tundragames.com and if you have any new ideas you’d like to see in the game we’d be interested to hear from you.